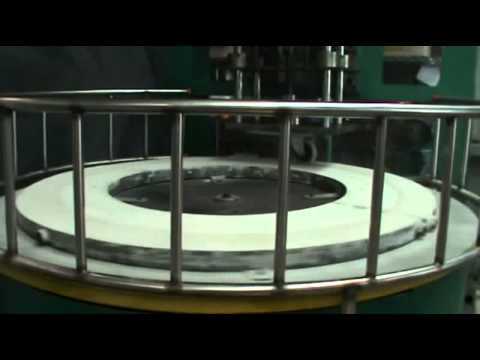 Conveyors and conveyor parts from Richmond Wheels and Castors allow for the free flowing and efficient use of conveyor lines.Richmond Wheels and Castors offer many products from the conveyors themselves to the parts that run and assist in the motion of the conveyors Conveyor rollersGravity conveyor /frameConveyor standsGravity conveyor bendsPowered line shaft conveyorsManual Line shaftBelt conveyorsFlex Conveyors /poweredBall transfersFlow railSkate railMulti directional wheelsWith the ability to hold up to 120kg the Conveyor Rollers are an economical, material handling, spring loaded rollerEfficient and safe transportation Simple installation Secure attachment to the conveyor frameGravity Conveyors provide essential material handling with safety and efficiencyEconomical solution ideal for moving heavy and non-standard shaped itemsHigh quality powder coated finish Innovated interlocking sections A unique product for Richmond Wheels and Castors, the Multi Directional Wheels move with 360 degrees of motion Movements forward, backward and side to side with ease Corrosion resistant Capacity of up to 60kg With many more products available from Richmond Wheels and Castors, all conveying needs are met with parts and conveyors for every situation. 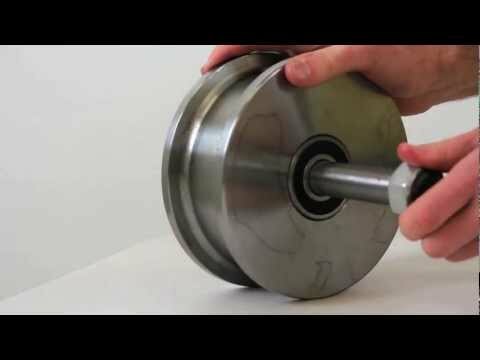 Richmond Wheels and Castors wide range of pipe rollers are manufactured to suit various pipe diameters and load capacities in industrial conditions. Heavy duty pipe rollers are manufactured from hardened Polyurethane to perform in harsh environments Self-Tracking Polyurethane Rollers: 95A, 550mm diameter with a crowned rim Lightweight Horizontal Pipe Rollers: Easy to install and transport due to it portable and low profile Bogey Transition System Polyurethane Rollers: Bogey design carriage Stackable Rollers: Easy to store and transport and designed for multi-use applications Bevelled Polyurethane Rollers: Its simple and versatile design makes it suitable for various pipe diameters and capacities Pipe Loading Rollers: Use on any pipe radius due to its curved design Additional pipe rolling services from Richmond Wheels and Castors include custom design, prototyping, testing and manufacturing. 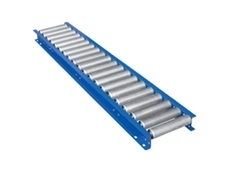 The Polyurethane hardness of these pipe rollers range from 50A to 75D and pipe supports and cradles come in stackable, tunnelling and V-roller designs. 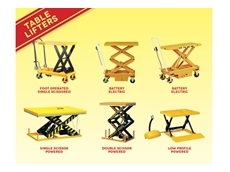 Richmond Wheels and Castors specialise in materials handling equipment supplying a comprehensive range catering for moving, handling or lifting 50kg to 2.5 tonne. Materials handling solutions increase both workplace safety and productivity Increase productivity and lower the costs associated with importing materials, components or finished goods from overseas Range complies with OH&S standards ensuring a safe workplace Ensures easier lifting, handling or moving of objects High quality construction for durability in industrial environments Safely and effectively improve workplace productivity Designed with the highest standards of safety in mind, the impressive range of Materials Handling equipment includes: Hydraulic Table Lifters and Battery Electric Table Lifers Drum and Tub Dolleys Ladders Safety Cages Wheelbarrows and Garden Carts Pallet Trucks, Fork Stackers, Trolleys and Handtrucks Skid Lifters Univators Richmond Wheels and Castors aim to provide quality materials handling products at the most affordable prices. 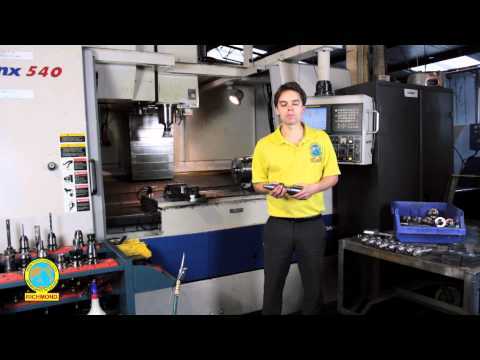 Most products are internationally manufactured and meet European EN safety standards. 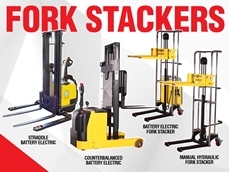 All products in the materials handling line come with a full one year warranty. 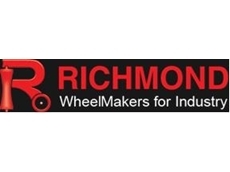 22/10/13 - Richmond Wheels and Castors announces a new logo that represents the company’s mission to be an innovation-led visionary company, designing and manufacturing global leading material handling systems and wheels for industry to all markets. The significant R, strong and bold, is a testament to Richmond’s culture of drive and ingenuity through manufacturing excellence. The distinctive pipe roller symbolises their extensive contribution to Australia’s infrastructure and natural resource industries. 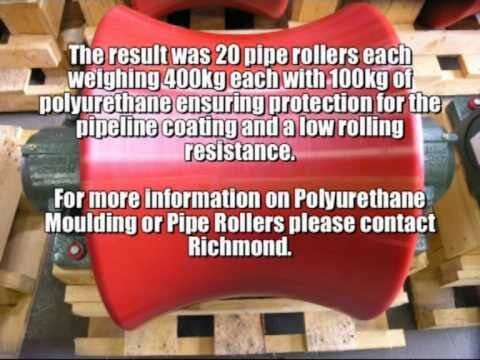 World renowned for their pipe roller design and manufacturing utilising polyurethane, Richmond truly is a company dedicated to their motto of ‘Wheel Makers for Industry’. 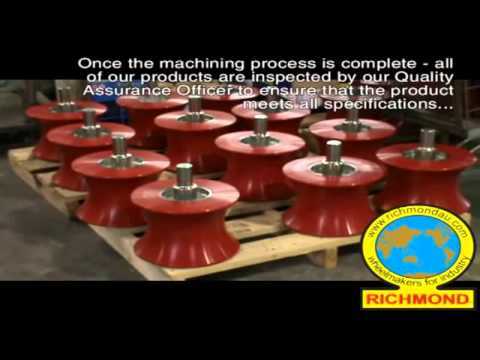 The forward facing wheel continuously drives Richmond’s business in perpetual motion and showcases their position as a global leader in wheels and castors. Through strength and unity, the R represents the company’s Australian family owned history, as each component is critical to the integrity and structure. The logo, the Richmond R is an image of a company in constant evolution through movement. 21/10/13 - Richmond Wheels and Castors was recently subcontracted by the Baulderstone Leighton Joint Venture to supply adjustable pipe rollers for the Regional Rail Link Project.The installation of water main pipes was a necessary component of the Victorian Government’s Regional Rail Link development throughout western Melbourne – a landmark infrastructure project designed to remove major bottlenecks in Victoria's rail network. 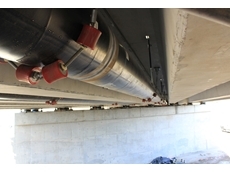 The pipe rollers were required for the positioning and installation of dual 660mm water main pipes on the underside of Ballan Rd and Armstrong Rd bridges at Wyndham Vale. Richmond was contracted for the manufacture and supply of permanent and temporary bridge connections for the water mains.This included permanent hanger sets; temporary roller hanger sets including temporary works design; temporary bridge pier rollers; and, temporary trench rollers for launching the pipes under the bridges. 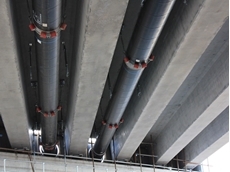 Due to physical constraints involved in the construction of the project, pipe hangers could only be placed every 7m. The pipe involved in the project is mild steel cement-lined water pipe, which has a protective Sintakote coating. The rollers supplied by Richmond Wheel and Castors had to be height adjustable to allow for installation of permanent pipe supports. Dynamic loads were also generated during pipe launching. The rollers supplied by Richmond Wheel and Castors for the water main pipe lengths were P/N 055 LAUNCHROLL rollers and were used to support the pipeline during welding, as well as to align the water pipe with the temporary pipe slings. The flexibility of the pipe rollers allowed for both the welding and alignment processes to be conducted without dismantling any part of the pipeline, or without compromising the integrity of the pipeline. Richmond Wheel and Castors designed and manufactured pipe sling rollers to successfully launch the water main pipes under the bridges and suspend them in position ready for the permanent brackets to be attached. RWC met client milestones to ensure the project finished on time, including components that were permanent and had to be cast into the bridge deck slab prior to pipe launching. Rob Keens, Utilities Manager for the Baulderstone Leighton Joint Venture explained Richmond Wheel and Castors was selected for the job because of its novel design solution, which included chains, wire ropes and roller systems that were easy to install and adjust and provided a great solution for a difficult engineering task. They were also very satisfied with Richmond’s good quality workmanship and delivery times. 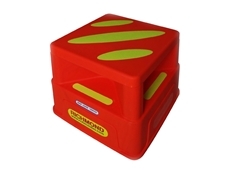 18/10/12 - Richmond Wheels and Castors offers parts bins and parts trays as efficient storage solutions for homes or businesses.Richmond parts bins are available in various capacities from 3kg to 30kg. Manufactured from high quality recycled polypropylene, the parts bins feature a louver panel grip to securely attach to a Richmond louvered panel. 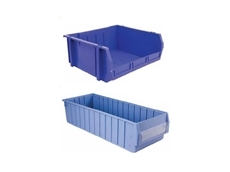 The parts bins are supplied with optional dividers and dowel rods for vertical stacking.Richmond parts trays are available in capacities from 8kg to 25kg and are manufactured from high quality recycled polypropylene. The parts trays are supplied with optional dividers.